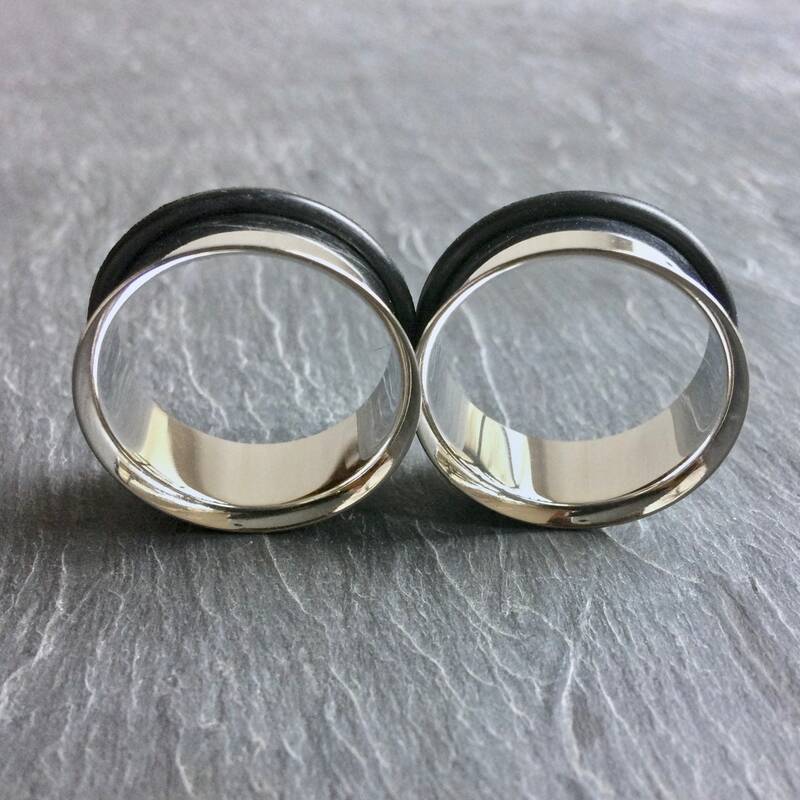 Stainless steel single flare tunnels. 1" (25mm) pictured. We accept payment with Direct Checkout using a credit / debit card, gift vouchers or Paypal. We are based in Europe and aim to ship all products within 1 - 3 working days. The shipping time depends on the efficiency of customs and your local postal service. This usually takes between 3 and 14 working days internationally depending on your location (although it's usually about 5 working days worldwide.) Unfortunately on rare occasions a package will be held up at customs and can take up to 35 working days. For this we are sorry and hope you understand but please remember once your order has left our hands we have no control over it! If you need your plugs yesterday you can upgrade to Urgent shipping which is usually 3 - 7 working days (we cannot guarantee delivery time) and includes tracking. We want our customers to be completely satisfied so if you are unhappy in any way with your purchase please contact us immediately and we will make every effort to put it right. Can i return my plugs? We accept returns for refund according to distance selling regulations, please contact us for a return address within 7 days of receiving your plugs. We will then issue a refund on receipt (buyer covers postage). To be eligible for a return, your plugs must in the same condition that you received them. They must also be in the original packaging. If the plugs were bought for you as a gift and you wish to return them we can only issue refunds to the account from which the purchase was made. Terms of Business - All sales are subject to UK & EU law. Plug Potion is our way of saying thank you. We have created a gorgeous butter to keep your holes healthy and your plugs fresh. With Shea Butter, Olive, Argan, Almond, and Lavender Oil, our butter has moisturising, antibacterial, anti-fungal and anti inflammatory properties. Are your plugs sold as pairs? 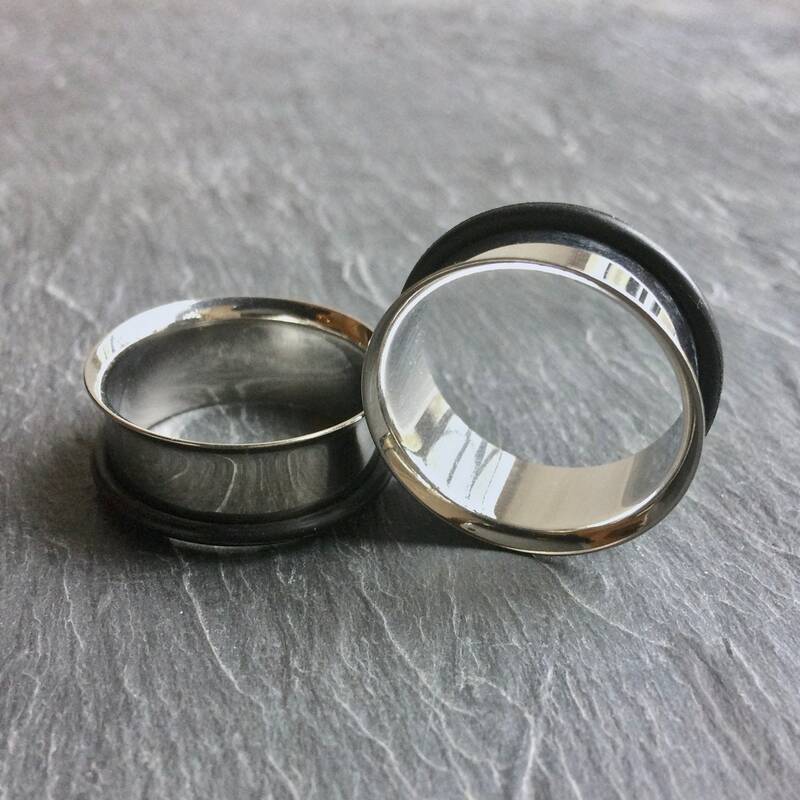 All plugs are sold as pairs, we take care to ensure your plugs look great in your ears and mirror any pair where possible including real flower plugs and any images. If you would like a single plug or two different designs please contact us as this should also be possible. 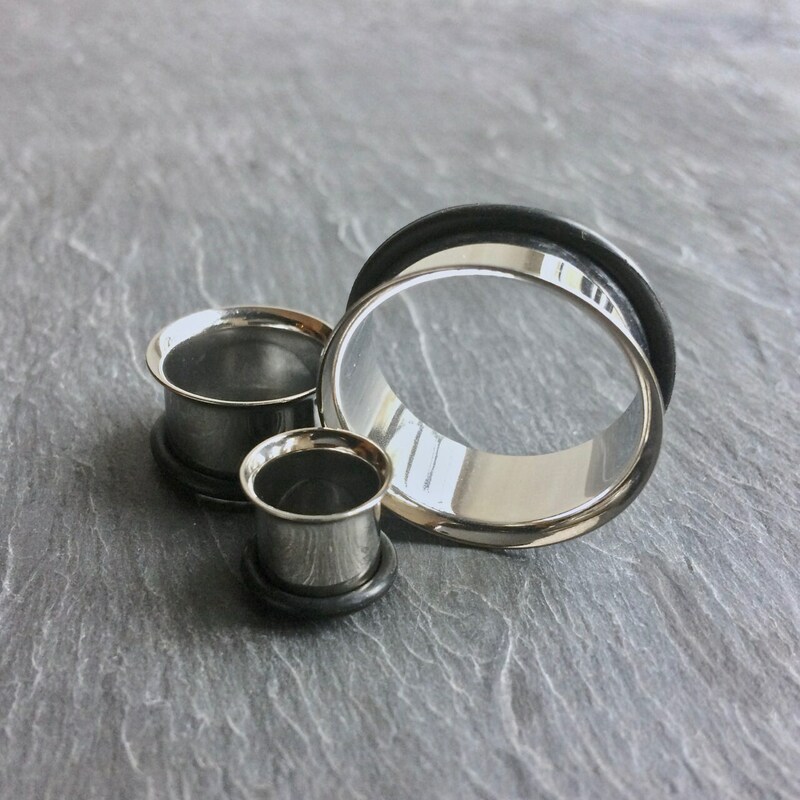 I want to buy multiple pairs of your gorgeous plugs, how will the shipping costs be calculated? You only pay for shipping once no matter how many pairs you'd like! How long will my plugs take to ship? We aim to ship most orders within 1 - 3 working days. Once my plugs are shipped how long will delivery take? The shipping time depends on the efficiency of customs and your local postal service. This usually takes between 3 and 14 working days internationally (we are based in the U.K) depending on your location, although it's usually about 5 working days worldwide. Unfortunately on rare occasions a package will be held up at customs and can take up to 35 working days. For this we are sorry and hope you understand but please remember once your order has left our hands we have no control over it! If you need your plugs yesterday you can select the urgent shipping option during checkout, this usually takes 3 - 7 working days (although not guaranteed) and includes tracking. Please remember to take the production time into account as well. How do i care for my new plugs? Wipe clean with a damp cloth, rubbing alcohol can be used on bone, horn and surgical steel. Only wear in fully healed ears. Store away from direct sunlight, heat & moisture in a place your plugs can breath, your muslin bag is perfect. Wear them and look fabulous! Swim, shower or sleep in them. Bone, horn & wood are organic, porous materials which are affected by extremes in temperature and moisture causing swelling and cracking, wrecking your beautiful new plugs. What if my plugs are damaged in the post? If your plugs arrive damaged we will replace them with the same size and design as ordered, covering all costs. My plugs are too small / too big? Ordering the right size is your responsibility although we will accept returns if the wrong size has been ordered. We will then issue a refund on receipt and you are free to re-order the correct size (buyer covers postage). Organic / hand carved plugs can vary in size so our plugs are digitally measured to within 0.50mm / 0.020 decimal inches of the stated size, if you are accidentally sent the wrong size, we will rectify the mistake at our cost. Our picture plugs are a bone and resin composite. The Buffalo Bone / Horn used to make our plugs is an animal by-product which is ethically sourced in Indonesia. The steel tunnels are surgical stainless steel. We use Crocodile wood on our hider / dangle plugs. Wood is porous so should only be worn in healed piercings, it is light, comfortable and breathable which keeps your lobes healthier and less prone to smells. Where adhesive is used it is solvent free. Our resin is jeweller's grade. Due to the nature of organic material or handmade items, each one might be shaped, naturally marked or coloured slightly differently. We do our best to match the two most alike. Sizing may also vary slightly, however our plug wearing size (not including flare) is measured in the worldwide standard of millimetres with a digital calliper. They are within 0.50mm / 0.020 decimal inches of the size stated, along with it's approximate American Wire Gauge (AWG) equivalent. These are actually incredible for the price, very good quality and I actually really like the plug potion!